Millions of gamblers visit casinos across the world every year. For most visitors, it’s a fun night out. Even losing a few bucks isn’t important if they’ve had a good time. Just like any public place though, casinos have strict rules on what can and can’t be done within their cushioned beige walls. Fights, cheating, drunken behaviour: they’re all big no-nos if you want to keep on gambling. But how common is actually getting kicked out of a casino and what are the most frequent reasons for an ejection? Let’s take a look at five ‘popular’ ways gamblers just can’t help themselves and fall foul of the house rules. Casinos are private institutions (even if membership isn’t required).They are perfectly entitled to eject players for being unruly, drunk, abusive or all of the above. In the US, it’s known as “trespass” and could last years. In Nevada it can even carry a fine or short jail term. Even excessive drunken behaviour can result in an ejection. Consider the case of Ronald Turkington, an English gambler who was kicked out of Aspers Casino in Newcastle in 2014. He returned with a revolver and proceeded to let off five shots aimed in the general direction of the front doors. And if you’re caught smoking weed or stoned, again that will lead to a ban. Abuse of croupiers and/or bar staff or management is never tolerated at casinos. Losing players may direct their anger at the dealer who just bust their blackjack hand for the 15th time in the row but it is never allowed. Even jokey comments can result in a ban. One player recalls making a comment about the blackjack dealer who was handing his friend some cards. He called out, “If this dealer doesn’t give you an ace or 10 Imma [sic] eat his children!”. The dealer heard, told a pit boss and the player was kicked out for “threatening an employee’s life”. A life ban ensued. Similarly, casinos with poker rooms will not tolerate abuse of dealers, staff or players. Obscene or offensive language usually results in a penalty (i.e. being excluded from the table) for one round of hands. If the abuse is serious, a ban from a tournament or cash game can be made. Every gambler gets lucky, but even the big winners can find themselves on the wrong side of the casino. 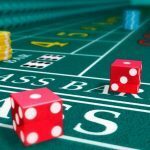 Take the case of the British gambler who won £28,000 playing roulette with a special “no-lose” system. Balvinder Sambhi says he was so good he received a countrywide ban from every casino in the company’s chain. “We are under no legal obligations to give reasons for excluding someone from our premises,” the casino said afterwards. That’s alright, then…. Card-counters, while less rare these days because of better shuffling machines, will also be banned if found to be using techniques to get an edge. And poker pro Phil Ivey landed in court last year as he was caught up in a controversial ‘edge-sorting’ case. 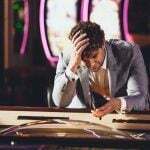 The gambler had won £7 million at a prominent London casino but had been found by the casino to have studied the patterns on the cards to judge what had been dealt out. While he hadn’t ‘cheated’, the casino withheld the winnings. The case went to court, and Ivey lost. Cases of money-laundering ill-gotten gains through a casino aren’t unheard of. 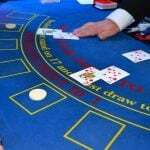 Certainly, Down Under in Australia and New Zealand there have been suspicions of major casinos being used by criminal gangs to launder their cash. Large deposits of money followed by long and unusual betting sessions, before a withdrawal is made, can result in a ban and criminal investigation in some cases. Remember, the casino’s discretion counts. 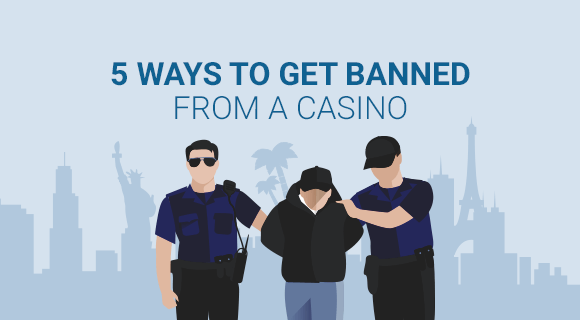 You don’t even have to be proven guilty for the casino to issue a ban. And don’t try blowing the roulette ball into a slot (yes, that has been attempted). It’s an easy way to get a life ban. It’s not just in land-based casinos where players can find themselves in hot water. 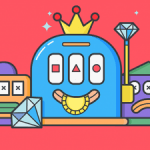 Online gambling sites have a myriad of ways for players to abuse the system: playing underage, using another person’s ID or creating multiple accounts to take advantage of welcome bonuses. Underage gambling is particularly frowned upon, especially because licensed sites have to conform to jurisdiction rules. Bonus abuse is one of the most common ways to get kicked off, however. A welcome or reload bonus gives players the chance to have a deposit matched by the casino as long as they meet they playing requirement. ‘Play-through’ requirements include meeting a wagering amount, say 40x the deposit amount. Certain games are eligible (some more than others) but players have to bet a certain way. Any persistent use of even-money betting will be flagged up. Similarly, players who only deposit in order to trigger a bonus (before withdrawing the cash and disappearing) can be classed as abuse. This will lead to being kicked off.